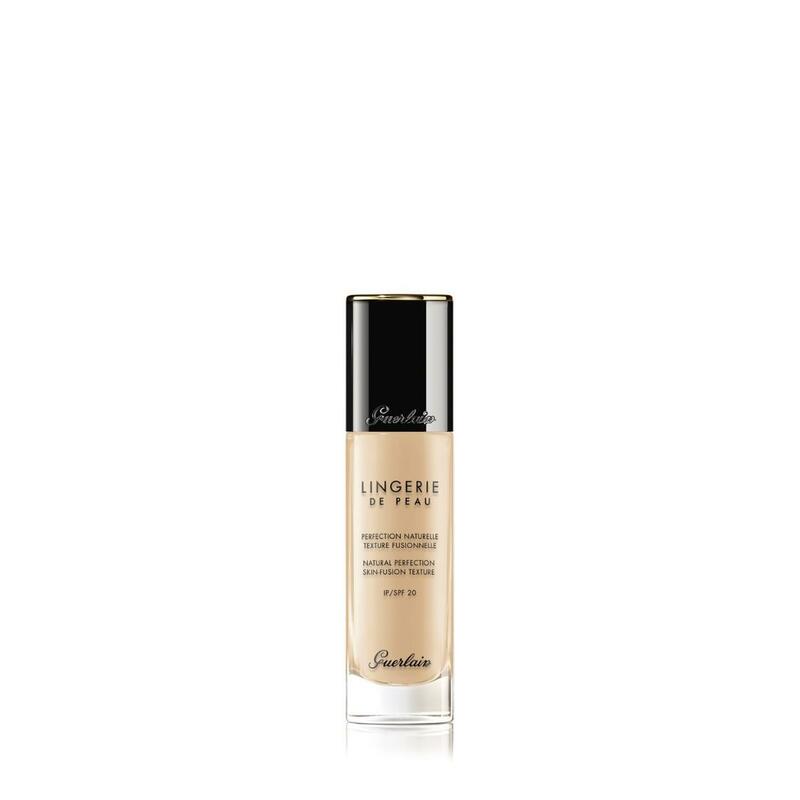 Guerlain's Lingerie de Peau turns the dream of a perfect foundation into reality – so skin-fusing and natural that it can't be felt, can't be seen. Its fresh, light texture glides onto the contours of the face like a second skin to enhance beauty naturally, without artifice, all day long. Guerlain Technology, Bio-Fusion micro-mesh, an unprecedented combination of contouring and smoothing stretch fibres with natural silk and linen fibres that are in total affinity with skin. Hydrating agents bring softness and comfort throughout the day. Lingerie de Peau is offered in a universal range comprising 18 ultra-natural shades for every skin tone: cool, neutral and warm. Lingerie de Peau is sold in a 30 ml pump dispenser. IP 20.